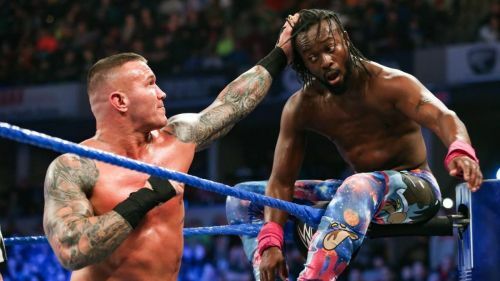 I've previously interviewed Kofi Kingston many times and never has there been an air of excitement around him like there was during the global teleconference that WWE conducted right before SmackDown Live. Kofi Kingston had come to India not long ago to promote the largest ever tryouts that the company has ever conducted in history, and also for a talent tour of sorts. The New Day guided the youngsters who were trying out with their expertise and wisdom. The moderator informed all the journalists who'd dialled in that because of the unusually high number of people waiting in line to speak to Kofi Kingston, we'd be allowed two questions each instead of the usual three. I'd like to thank my colleagues Kishan Prasad and Greg Bush for helping me out with the questions that I asked during the call. Here is what I managed to ask right before SmackDown Live took place, where Kofi Kingston ran the gauntlet, only to succumb to WWE Champion, Daniel Bryan. How do you go from visualising your Royal Rumble spot to actually doing it? How many times do you have to rehearse it? Kingston: You know what? Funnily enough, I don't think of a Royal Rumble spot until a week or so before. I don't really have a whole lot of time to practice either. It's one of those things where if it happens, then great but if not, then I'll just be eliminated (laughs). Actually, this past Royal Rumble I almost got eliminated when I decided to jump on to Xavier and he kind of fell over, but my foot was able to stay up in the air somehow and he was able to get me back up. So yeah, I just have faith that the idea will come at some point in time. I never put any kind of pressure on myself to come up with something. If you do become WWE Champion at WrestleMania, whom would you like to face as your first opponent? Kingston: Jeez. What's way further ahead than I'm even thinking about. I feel like I'm just trying to get there first. Tonight I have a huge gauntlet match where if I win I'll be able to compete for the WWE Championship. I'm facing 5 other fantastic WWE Superstars. So, I want to climb this mountain first. And if I'm lucky enough to win this situation, then I'll climb the mountain of facing a fantastic competitor in Daniel Bryan and after I beat that guy, then I'll start thinking about who I want to defend against. But it's a long, long way away man. I can't even think about that right now. Be sure to catch Kofi Kingston only on SONY TEN 1 and SONY TEN 3 every single week.